Published February, 2018 (Modern Age) by Image Comics and went on sale February 28, 2018 for $3.99 USD. This issue contains ____ pages in ____, the current NM value is $3.99 USD. 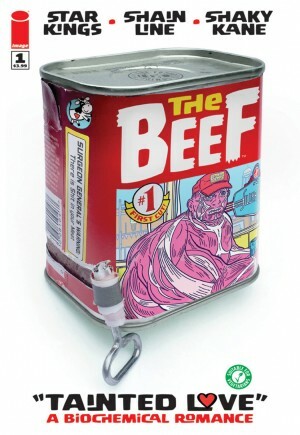 I think through The Beef, Starkings and Shaneline are trying to hit comic readers in their stomachs. But considering how brutal he makes the Vodino family appear and how ultra-sympathetic I was towards both Chuck and Mary-Lynn, I feel that by the end of issue #5, the authors are going to strike at our hearts instead.